This early 1900's postcard shows the bridge over Morris Avenue in the foreground. This was taken during the construction of the line to Summit. c.1905/6. The RVRR's bridge over Morris Avenue. Over Morris Ave. Three span steel bridge for one track. One span 40' thru plate girder, one 8'0" and one 18'0" spans with I-beam stringers. Total length 66'0". Underclearance 11'0" (Painted on bridge). Condition fair. No repairs. 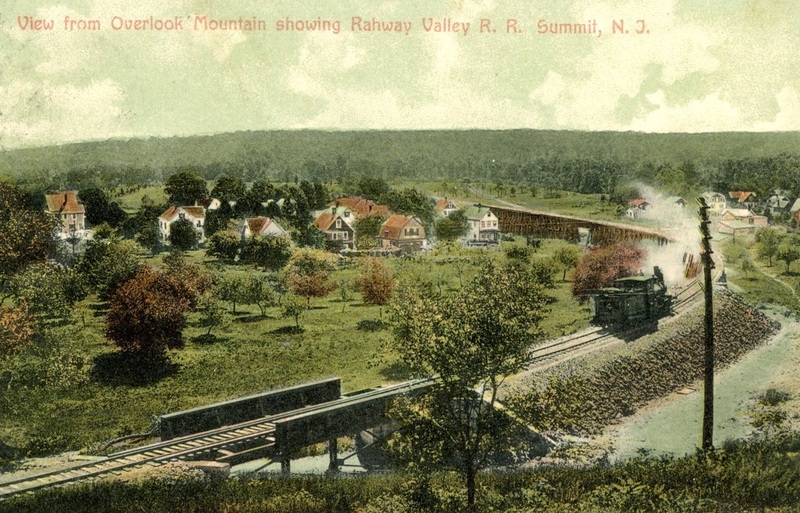 The Rahway Valley Railroad's line through Summit was elevated and therefore there were no road crossings made at grade. Rather there were four places in Summit where the RVRR bridged over the road below. 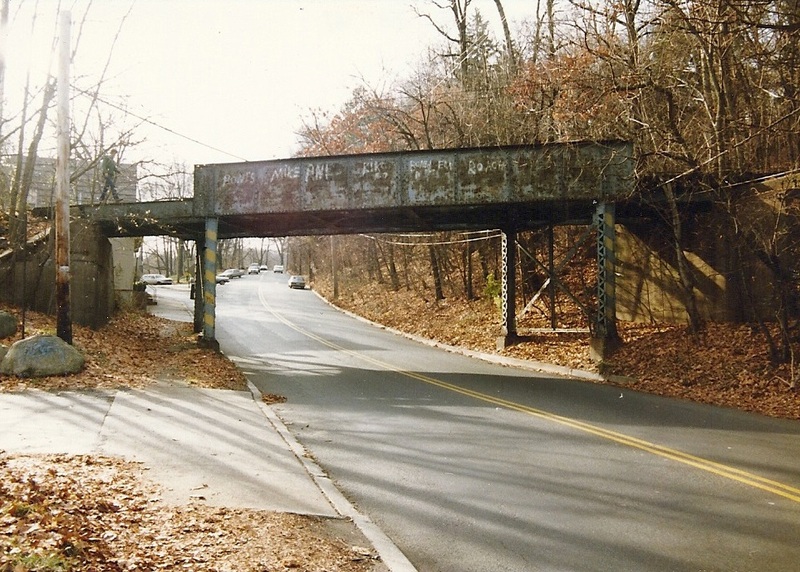 Of those four the bridge over Morris Avenue (MP 6.87) by far had the lowest vertical clearance over the roadway. This low clearance must have caused problems for motorists in the area as not long after the railroad closed in 1992 the bridge was removed. See this what this location looks like today. 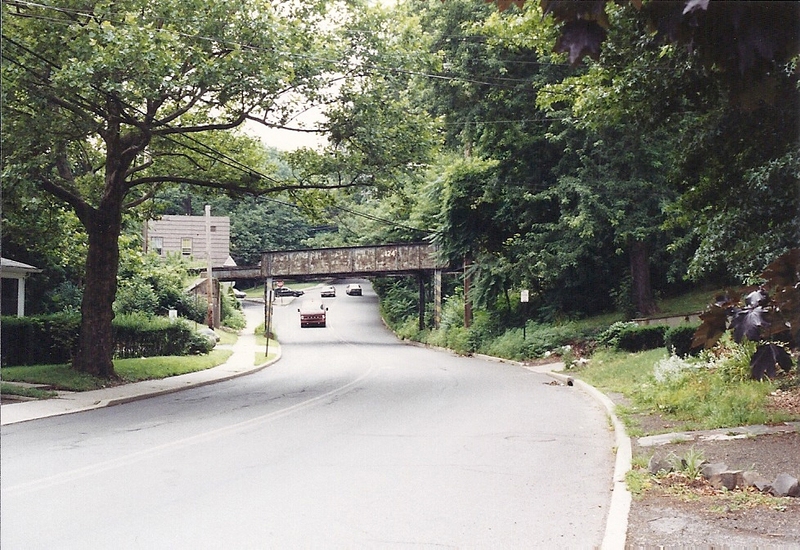 The bridge over Morris Ave., 1990. Photo taken by Peter Thornton, courtesy of Don Maxton. Head Back to the Station!